Carla - Cool! I love Sea Wolf too! I wanted to make sure I got them on there somehow. I could have made a 20 song Tori Amos playlist, but I tried to be more varied, LOL! 2. Right now my fave song to blast in the car is Big Casino by Jimmy Eat World. I like to sing along at the top of my lunchs to that one. Shall I actually confess one of the songs I turn the volume way up on? Ok, one is I Just Haven't Met You Yet by Michael Buble. One of my favorite songs to blast in the car is 19 & Crazy by Bombshel. It's so much fun, and I always find myself dancing along. As well as I can sitting down, anyway. My favorite song to play in the car is I Like the Way You Move by OutKast, and I would love to be entered in your giveaway! The book sounds excellent! I would love to read this book. Thanks for hosting the contest! I can't believe you have Bic Runga on your list; it seems like nobody else ever knows who she is, but maybe that's just in the US. My favorite song to blast in the car (and repeat about 10 times) is Cathedrals by Jump Little Children. My favorite song to blast in the car at the moment is Your Love Is My Drug by Ke$ha. I have been slightly addicted to DOG DAYS by Florence and the Machine. It's those drums! Lovely contest! My favorite song to blast in my car while driving is "Soul Sister" by Train. It makes me smile all the time. In fact I'm smiling as I write this comment. ahhh, dopey? yes but I love it! My favorite song to blast while driving is Hold On by Wilson Phillips. It's such a fun song, and so cheesy. Also, another great song to play is Never Gonna Give You Up by Rick Astley. When we drove to Florida for spring break, my friends and I rickrolled every single state we drove through. I'm not in the US, but had to say: I *heart* Stars! Do you like Imogen Heap as well? Right now my favorite song is Katy Perry-California gurls!! My favorite song to play in the car is the Glee Cast's version of Like A Virgin. I'm always singing it at the top of my lungs. And I realized I didn't leave my e-mail. I love the Black Eyed Peas so any of their songs! I like blasting Mr. Brightside on full volume and singing along with my little sister. The fact that she has no clue what it's about makes it even funnier. 'You and I' by Ingrid Michaelson. It isn't going to 'blast' if you play it loud, but it does drown out my off-key sing-along. And plus, it's a favorite. The book sounds great - I love books about road trips. One of my favorite oldies to blast in the car is "On the Dark Side" by John Cafferty & the Beaver Brown Band. Another favorite is "Missionary Man" by Annie Lenox. Interesting contest and a great review! I'd LOVE the book--and I love to drive blasting Super Massive Black Hole (pre-Twilight movie) by Muse. The other day I was totally rocking out the Telephone by Lady Gaga. I had it up so loud! The Remedy (I Won't Worry) By Jason Mraz. One of my favourite road trip songs is Autobahn by Anberlin: "And we're driving just as fast as we can, and we're racing to outrun the wind. / And the stereo sings our song, we don't hesitate to sing along." Monster by Lady Gaga! I'm totally addicted to that song! I love road trips, but I never read a book talking about it. I guess it's amazing! Oh, I really wanna read it! *___* Thanks for the review! This book sounds *so* fun! I love to rely on my radio when I'm in the car & driving for a while (with CD/Ipod backup of course, in case I loose reception/no one is playing songs, lol). Right now, I get really excited when anything by Lady GaGa comes on. She's a little eccentric in her videos & most public/media related things, but I can't get over her music, lol! Would love to win the book. Thanks for the giveaway. My favorite song to blast in the car is Ave Mary A by P!nk. I love your playlist! That's awesome.Your Smiths song is one of my favorites.."and in the darkened underpass I thought, oh God, my chance has come at last, but then a strange fear gripped me and I just couldn't ask." Great giveaway! When I'm not listening to an audio book, I love to listen to Tom Petty, so I'm going to say Mary Jane's Last Dance. Oooh! I can't wait to read this book! My favorite song to listen to in the car is "Uprising" by Muse. This one sounds truly delightful and I'll have to keep an eye out for it! Lately I've been blasting Left and Leaving by The Weakerthans! "Count yellow highway lines that you're relying on to lead you home." I love your song list! Anyway, I love Regina Spektor, so she's always playing. Thanks for the opportunity, Lenore! This book looks so good!!! And it actually depends for the song. If it were last summer though, the song would definitely be "You Belong With Me" by Taylor Swift. Personal Jesus by Marilyn Manson!!! OMG I love the idea of this book. I guess I'm not great with road trips usually. I'm normally on a time schedule, and if there are kids involved, it is maddening. But I aspire to a fun road trip someday, and if I do, I will most definitely do a playlist. I haven't even heard of this book before, but now I'm really excited to read it! I love road trip stories, so this is right up my alley. My favourite song is Summer of 69. I haven't listened to The Smiths in sooooo long, need to load some onto my iPod. I am not fond of road trips, but the music is the only thing that makes it livable. One song? Just one? I had a kick blasting Womanizer today in the car with my very straitlaced boyfriend. I am not a fan of Britney in general, but her songs do get me singing and dancing in my seat. my favorite song to blare in the car is Sweet Home Alabama by Lynyrd Skynyrd! I have been DYING to read this book since forever! And my favorite song in the car would probably be either "Put Your Records On" by Corrine (I really hope I spelled her name right) Bailey Rae, "The Remedy" by Jason Mraz, or "Let the Flames Begin" by Paramore. I love all different sorts of music, but for car rides I love to listen to upbeat stuff. Anything by M.I.A., Jay -Z, Lady GaGa, Rihanna and Robyn works. Right now I'm really feeling Hot 'N Fun by N.E.R.D. Oooh I'm adding this to my 'to-read' pile. I am in major need of an epic road trip. I love "Eet," as well. A song that I would likely blast in my car right now would have to be "Stay Small" by The Receiving End of Sirens--although "Swallow People Whole" and "A Realization of the Ear," from the same album, run a close second. 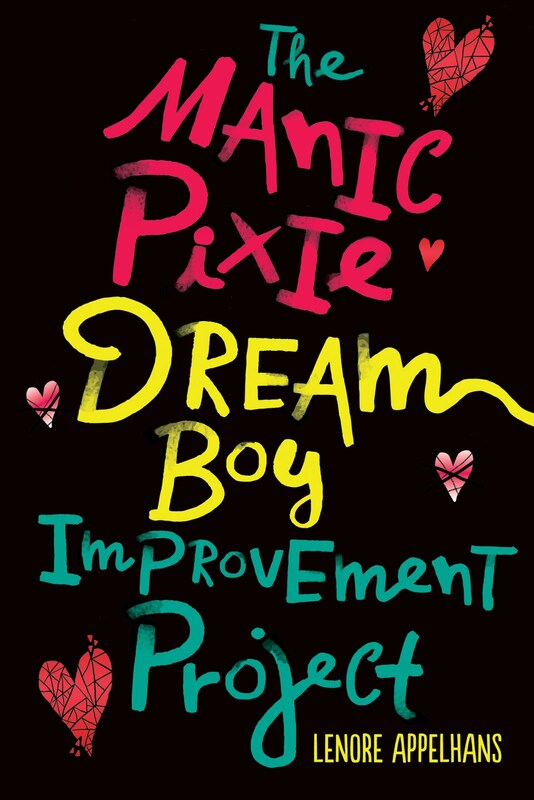 I can't wait to read the book, it sounds amazing! When I'm driving, I like music with a lot of time changes. It keeps me from falling into a lull. I think one of my favorite car songs is "The Patient" by Tool. Hmm. Favorite song to blast in the car? Don't Stop Believin' (: Gotta love Glee. Whenever I see my dad and we go somewhere, we always have to play Steve McQueen by Sheryl Crow atleast once. His truck has this awesome stereo system and that song just really emphasizes it when turned up, especially at the beginning. The other one is also one I always listen to in the truck with my dad and it is Fly Away by Lenny Kravitz which we always listen to right before Steve McQueen. I know, not the songs you would've expected, huh? 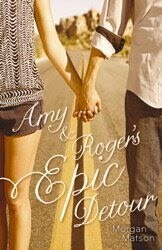 I'm really anxious to read Amy & Roger's Epic Detour and hope I win. Thanks for the giveaway. One I would definitely add to the list -- Going the Distance by Cake. It's impossible to not rev the engine to that one. My favorite song to play loud in the car is The World at Large by Modest Mouse. It has a really good beat. This book sounds great, please enter me in the contest. Jessie's Girl. Oh, I love that song. "Pickin' Wildflowers," "Hicktown" or anything else country and loud is good for roadtrippin'. My fave song is Sober by Pink. I crank it up and sing along. i so want to read this book!! the song i love to jump and sing word by word to in the car is "I dont wanna be" by gavin degraw. its the theme song to the show one tree hill! I love listening to Sway by Bic Runga. What is it about her music that is so car-playable? I can't wait to read this book. I love road trip books. An amazing song to jam out to :)! I love blasting Faster Kill Pussycat sung by the late Brittany Murphy (who had a great voice by the way). come home with me when the party ends"
My song blasting on the radio would be All Right Now by Free. This looks like a great book - thanks for offering it! My favorite song to blast in the car is "X-Ray Man" by Liz Phair. There are many others, but I'm limiting myself to just the one! I'm a bit of a music junkie. :P Thanks for the opportunity to win this book (signed!)! A favorite song that I like to turn up in the car is Summertime by Sam Cooke. The Rascal Flatts version is the best. My favorite song is Tik Tok by Ke$ha. Perfect to blast off in the car. THIS CONTEST IS NOW CLOSED! Winner will be notified shortly.